Scarce large blue butterfly on a burnet (Sanguisorba sp.) flower. 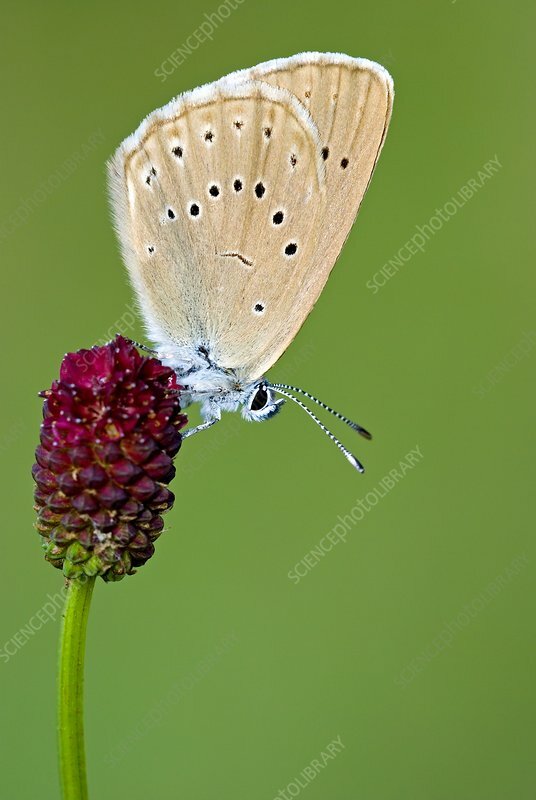 The scarce large blue (Maculinea teleius) is found throughout much of Europe, Japan and Russia. Photographed in Poland.